Aboriginal affairs have maintained a consistent place in the national dialogue, headlined by Kevin Rudd’s apology and before that John Howard’s intervention. But while these big agenda items gain maximum exposure, what then for some of the more intractable areas of disadvantage, like Aboriginal education. How far has that sector moved towards closing the gap? Lecturer Dr Inga Brasche says the frank answer is not very far. 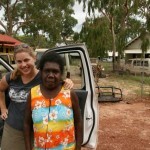 Dr Brasche (pictured with assistant teacher, Leslie Warawilya) says a legacy of poorly administered education policy, often established by trial and error has seen education outcomes for Aboriginal children continue to fall behind those of non-Aboriginal students. Dr Brasche says her work has been looking at identifying those practices which do work. Dr Brasche says targeted pre-service preparation and internships at the start of their careers has shown promise for long term retention in Indigenous communities. 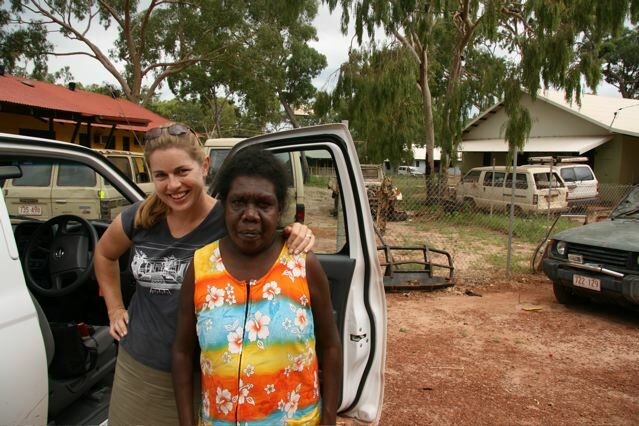 She says the Targeted Internship – Remote Indigenous Communities (TIRIC) project, backed by UNE proposes placing six specially selected pre-service teachers, in their final year with UNE directly into remote NSW community schools with high Indigenous populations for their final internship. Dr Brasche says selection of teachers for the first round of Targeted Teacher Internships is proposed to begin early in 2014.